Motek in Stuttgart is one of the leading events in the area of production and assembly automation. Due to its proximity to the Fraunhofer IPA, the trade fair is, so to speak, a must for drag&bot. 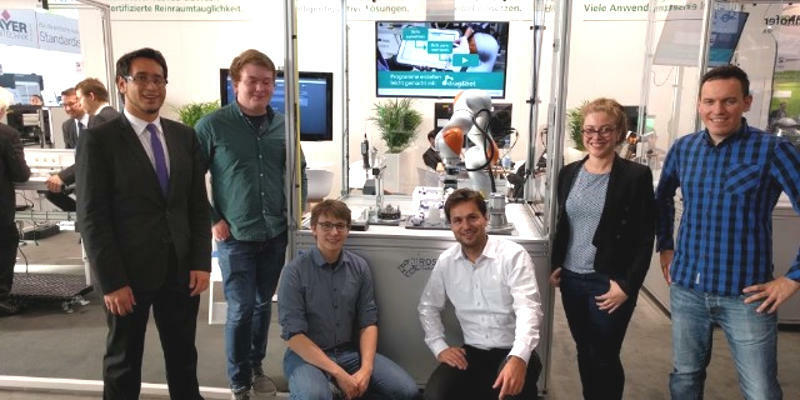 We demonstrated our software for simple, graphical programming of industrial robots on a KUKA IIWA, which we programmed with just a few clicks from a tablet. Visitors could even play with the robot and sort out little footballs. Most of them had never operated an industrial robot and were fascinated by the user-friendliness!